Birmingham Northfield is located in the West Midlands. It was created in 1950 and has been held by Labour since 1992. 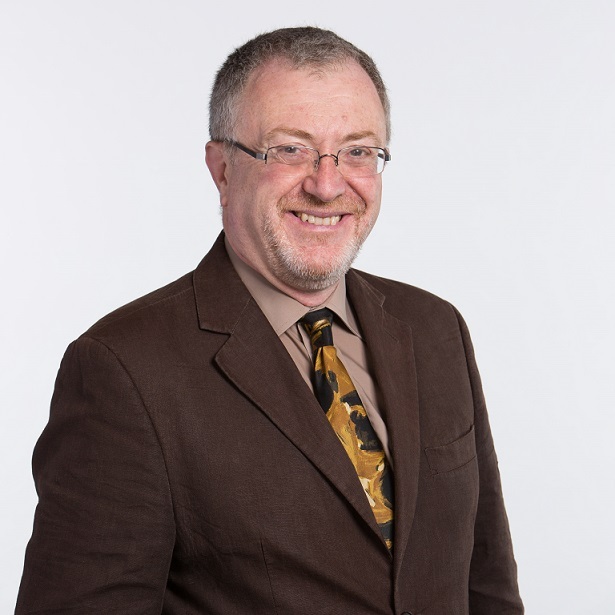 The current member of parliament is Labour’s Richard Burden who has served since 1992. I have been the Labour Member of Parliament for Birmingham Northfield since 1992, and Labour’s Shadow Roads Minister since 2013. 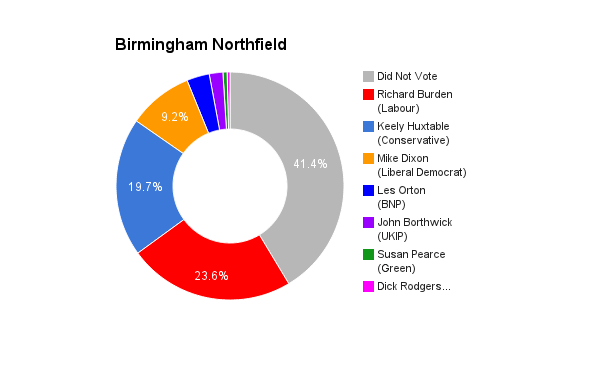 You can see more detail about my background and record here.I have lived in Birmingham for most of my adult life and fighting for local people to have more control over the decisions that affect them has always been central to my work and was a key reason why I first stood for Parliament. As an MP I have always seen my role as a strong community advocate. For everyone to achieve their potential, however, society needs to give everyone a fair chance. Poverty and growing inequality restrict people’s life chances, whether in Birmingham, across the UK or internationally. That is why a commitment to social justice is always a cornerstone of my politics. That is why I am Labour and it is why I will always fight to defend the National Health Service. A health service based on need, rather than ability to pay, is one of the clearest examples there is of the kind of principle that motivates me to keep fighting for a fairer society. I also know that many people feel that the world of politics is out of touch with their lives. I have always tried to be a different kind of politician. I have genuinely lived in the constituency for many years and, with local my office team, I run regular surgeries and provide a casework service for constituents throughout the year. I have taken up around 5,000 individual cases since the last election. I want local people to have more control over the decisions that affect them. I have consistently pushed for more transparency and devolution by both City Council and Government. I am always involved in key local issues – from the response to the MG Rover collapse ten years ago, to future of local Libraries and leisure centres affected by Government cuts today. I publish regular reports, e-newsletters, surveys and public meetings – most recently on constituents’ views on immigration. First, my values. I believe that we can only prosper as a city and a country when everybody has a real stake, where people have equal opportunities to succeed and where we protect the vulnerable. These are Labour values.Second, my record. I have represented Northfield through thick and thin. I am independent-minded and not afraid speak up when things are wrong – from opposing the Bedroom Tax nationally to campaigning for clean streets locally. Over half of people living in my constituency don’t get a living wage. It’s harder to see your GP and families are worried about the future of the NHS. Too many local young people can’t get a good job or afford to buy a home. Our area needs an MP to speak up for them, not a cheerleader for a Tory Government which is out of touch with the lives of people here in Birmingham. 3. 2. What would you have liked to have done differently during your time in Parliament? You would have to be a pretty arrogant kind of politician if you think you always get everything right. You never stop learning new ways of representing constituents effectively. It could be how to get the Council or a Government agency to listen when an individual constituent has hit a brick wall with them. It could be how to build a public campaign to win a vote in Parliament. You make mistakes along the way, but the important thing is to learn from them. Never stop learning. Ever.On policy issues, I’m comfortable with most of the decisions I have made on policy questions. I have big differences with the Tories so backing my own party against them is the easy bit. Voting against your Government is more difficult but I think I have generally made the right calls when I have done so – e.g. over Iraq. Like other countries, Britain was hit hard by the world-wide banking crisis in 2008-09. But although the Conservatives would prefer you to forget it, the economy was already growing again by the time by the time Labour left office in 2010. The savagery of the Tories’ austerity programme since 2010 threw that into reverse and it’s only recently the economy has starting to grow again. It’s the slowest recovery for a hundred years.That’s why the Tories have failed on their promise to eliminate the deficit – because when people’s earnings are squeezed, the tax the treasury received declines too. So the Government has ended up borrowing £219 billion more than they planned. A recovery based are low pay, insecurity and exploitative zero-hours contracts is a false economy. Building a recovery that benefits everyone, not just those at top, is the right thing to do and it makes economic sense. Both. Britain has benefited over many centuries from immigration, and it absolutely vital for our success in a modern and global economy. Birmingham’s diversity should be a source of strength.But people are worried about immigration. That is clear from my recent public survey and public meeting. Behind people’s concerns about immigration are often concern about other things – such as wages being undercut, or pressures on the NHS. Immigration needs to be controlled and properly managed. The Government’s arbitrary cap on numbers – is not working, and it is bad for our economy and universities too. Labour’s plan is for fairer controls: stronger border checks and changes on when migrants qualify for benefits. But we must also tackle exploitation- e.g. enforce the minimum wage and ban employment agencies which only recruit from abroad. We must base our approach on the facts, make changes which work and expose the myths. With the prices of food, energy, transport and rent rising higher than wages in recent years, ordinary people just aren’t feeling the economic recovery. Over 50% of employees living in my constituency are on less than the Living Wage and it’s a scandal that so many families today have to turn to food banks. People working hard should not have to struggling to make ends meet at the end of the month. Our economy needs fundamental change so it works for working people again. Labour will make work pay by raising the national minimum wage and enforcing it, promoting the living wage and banning exploitative zero hours contracts. We will also take on the energy firms, banks and rail companies to get a fairer deal for consumers and passengers. And we will devolve powers and funding so places like Birmingham and the West Midlands can deliver local jobs and growth. A&E waiting times are at dangerous levels, a quarter of people now wait more than a week to see their GP, and 300,000 fewer older people are receiving social care compared to 2009-10. The Tories have wasted £3bn on a top down reorganisation and privatisation is spreading. I don’t believe that the NHS as we know it will survive another 5 years of this Government.Labour will rebuild an NHS with time to care. That means 8000 more doctors and 20,000 more nurses, GP appointments within 48 hours and cancer tests within a week. We’ll fund it by tackling tax avoidance and a mansion tax on properties worth more than £2m. To meet the challenges of the 21st Century we must also get social care and the NHS integrated together – so people can get the support they need to live independent lives and to stay healthy for longer. Despite Tory claims that they have fixed unemployment, long term and youth unemployment in my constituency are a huge concern. In 2009 there were around 20 people under 24 who had been out of work for over a year – it’s now in the hundreds. The longer you are out of the labour market, the harder it is to get back in.So Labour’s job guarantee for young people out of work for over a year is important. It’s why expanding free childcare will help parents get back to work. It’s why our plans for more high quality apprenticeships are so crucial, to end prejudices against vocational education. Creating more jobs that pay decent wages also means getting sustainable growth into our economy. I know from my work in the motor industry that this means supporting innovation and backing small business with reforms to the banking system and business rates. It is not healthy for democracy when the make-up of Parliament is out of line with the make-up of the country – whether in respect of gender, ethnicity or the kind of backgrounds from which most MPs come.It is also bad for democracy when so many people feel that the world of politics is out of touch with their everyday lives. Labour has done more than any other party to increase the number of women in Parliament and to promote diversity but there is more to do. We must also open up politics – by devolving power, making more imaginative use of social media and developing citizenship education alongside reducing the voting age to involve more young people. We should also welcome the voice which community organisations and charities give to those outside political institutions. That is why Labour will repeal the notorious gagging law which David Cameron’s Government brought in. I would urge people to vote to stay in the European Union if there is a referendum. Over three million British jobs are linked to trade with the EU – over half of the UK’s trade and foreign investment comes from Europe too. I know from my work with the motor industry that leaving the EU would be bad for British jobs and growth. The EU also helps safeguard rights such as paid holiday maternity and sick leave – which is another reason right wing parties such as UKIP are so hostile to it.Challenges such as climate change, multi-national tax avoidance, organised crime and terrorism do not respect national boundaries so we need international organisations tot deal with them . Britain must lead the way in reforming the EU so it works better for Britain – delivering jobs and growth, tackling international issues and builder a safer, more sustainable future.